Bathroom Remodel Ideas will be advertised this month since October is National Kitchen and Bath Month. America’s most popular home improvements are bathroom and kitchen makeovers. Bathroom remodeling ranks with kitchen renovation as one of America’s most popular home improvements. Why? Most likely because the return on investment is higher than any other remodel. Bathroom remodel ideas can cost a lot or a little based on what you do. A simple spruce-up for a new vanity top, light fixture and accents can be done for well below $1000. Choosing to yank everything out and start from scratch is a different story. A complete bathroom upgrade can cost $10,000 or more. Also, bathroom remodel ideas for a small bathroom will cost much less then for a large one. Use these 5 bathrooom remodel ideas for a better space and to add value to any Tucson home. 1. Identify your specific bathroom short comings. Do you need to expand your bathroom? Do you need an additional sink? Would you like to add windows? Will the bathroom flooring need to changed? Think about your ideal bathroom. Visualize what it will look like. Then prioritize your bathroom remodel ideas into needs and wants. 2. Review bathroom remodel ideas from many sources. Some architectural plans will definitely make it easier. Easier for you to identify what you really want. Easier for your renovation contractor to visualize the finished project. Almost any design planning will be helpful. You may choose to consult an interior designer for suggestions. The lower cost approach is to review Tucson home design magazines. Cut out the ideas, designs and photos that look like what you want. Use the bathroom remodel ideas you find to make a sketch on graph paper of what your plans are. If you choose a designer, they will do this for you. Photos and sketches will make it easier to present your bathroom remodel ideas to contractor doing the work. 3. Set a realistic bathroom remodel ideas budget. Before starting any work you should estimate the cost of the bathroom remodel. Once set, determine how you would fund the project. Do you have the funds or will you need get a loan? Borrowing to complete your bathroom remodel ideas will add to the overall project costs. 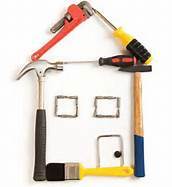 Are youa big remodel or are you making modest changes? When establishing your budget consider the design and style concepts you want. Do they fall on the conservative or pricier side. Not relocating plumbing for toilets, sinks, bathtubs and showers will keep costs down. If you are on a tight budget base the new design on your existing bathroom layout. 4. Don’t forget building permits. Before beginning any remodeling remember to secure a building permits. In most cases your contractor will go city or county government for you. Failure to get the correct permits will most likely cause you a problem later. Specifically when you want to sell your home. A listing agent will review whether or not permits were obtained for that remodeled bathroom. To properly list you home you will need to get the permits and have inspections done. Those costs and any related penalties will need to be paid before listing your home. 5. Consider current bathroom design trends. Extra sinks are almost a “must have” today. Double sinks in the master bathroom should be included in any remodel. Another consideration to include in your bathroom remodel ideas is isolating the toilet from the rest of the bathroom. If you only have a shower, give consideration to replacing it with a bathtub and shower. While whirlpool bathtubs are popular in the modern bathroom lots of space is required to do it right. In most cases plumbing changes will be required adding to the costs. Nearly everyone decides to add a bathroom exhaust fan, often including a heater on a timer, as well. If you enjoyed this post, check out the Bathroom Remodeling Guide on line. It includes professional advice, design & material comparisons. There is also a tool to help estimate the costs for your bathroom remodel ideas project. For more on the 5 simple tips for a dream bathroom – Go Here! Thinking of Buying a home in Tucson OR Selling a Tucson home? We can help!